In the late 1970s, and again in the late 1980s, attempts were made both by independent committees and at Government level to initiate moves towards a treaty, agreement or compact which could represent a formal settlement of the unresolved issues of our past—to put to rest the past not yet dealt with so that we could all move forward together into a better future. Unfortunately, Australia was not ready for such a formal settlement at those times, and broad agreement could not be reached on various proposals, either in Parliament, the wider community or among Aboriginal and Torres Strait Islander peoples. However, in 1991 the Commonwealth Parliament showed vision, leadership and unity when it voted unanimously to establish the Council for Aboriginal Reconciliation (CAR) and a formal process of reconciliation to take place over the decade leading up to the centenary of Federation in 2001. The Parliament noted that there had been no formal process of reconciliation to date, and that it was "most desirable that there be such a reconciliation" by the centenary of Federation. 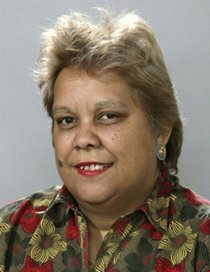 Jackie Huggins is an Indigenous Australian author, historian and Aboriginal rights activist of the Bidjara Central Queensland and Birri-Gubba Juru North Queensland peoples. She is the Deputy Director of the Aboriginal and Torres Strait Islander Studies Unit, an Adjunct Professor in the School of Social Work and Human Services at the University of Queensland and a Spokesperson for Recognise.